Pig the Grub is the sixth book in Aaron Blabey's popular Pig the Pug children's picture book series. It was released on the 1st of September 2018. It was published by Scholastic and is 24 pages long and retails for between $10.00 and $16.99. In Pig the Grub, everyone's favourite Pug has been getting up to some mischief. He's been playing in the toilet and splashing about in the mud and letting rip with some monster farts and now he smells awful! When his stench gets unbearable, his owner demands that he gets in the bath for a scrub from top to bottom, but Pig has other ideas and goes on a rampage. He is determined to become the world's dirtiest Pug! Pig the Grub was another great book by Aaron Blabey. Pig is as naughty as ever and Blabey's illustrations are laugh-out-loud good. I really love Blabey's writing style. All of the Pig books are written in the third person and are structured in simple, rhyming verses. Each book begins with 'Pig was a Pug, and I'm sorry to say…' and ends with 'These day's it's different, I'm happy to say…' Each book has a theme and uses humour to teach an important lesson to kids. Kids will love the antics that pig gets up to in this book and parents will love the message in it about the importance of bath time. Why? 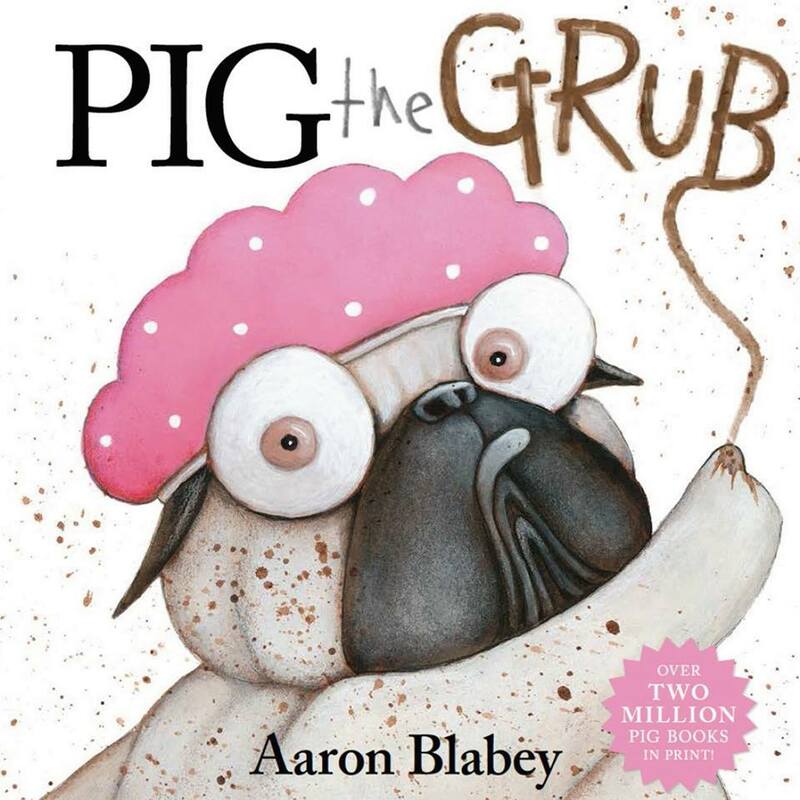 Pig the Grub is the latest book in Aaron Blabey’s bestselling Pig the Pug series. In this book Pig has been playing in muck and smells simply foul! But he will do everything he can to avoid having a bath.